The Web is welcoming diverse medium for experimentation and user participation. It is becoming easier and easier to post Web contents, Videos and share comments with other users and stuff. The idea of the website is still very much alive, but Web participation is taking new forms and being driven by new technologies that foster social interaction. Two of these developing trends are Blogs and Rss (Rich Site Summary or Really Simple Syndication). 1. Blogs: A blog is an easy-to-create Web site that allows users to share their thoughts with the world managed by a lightweight content management system. The word "blog" comes from "Weblog" because a blog consists of a signed and dated log of individual postings. The topic of the blog can be anything, from the personal to the professional. A blog is what you make of it. What is important about blogs is the content management system that manages the content. This system can offer a variety of features that can make the blog a useful tool. Examples include a calendar view of postings, organization of postings into categories, archived postings, options to send e-mail notification of new postings,follow ups and so on. Blogging is and should be an interactive activity. Readers can add comments to posts, others can respond, and a conversation ensues. Lately, bloggers have become well-known commentators on the political scene, but blogging can encompass any topic or no topic at all. If the blogging software allows it, bloggers can use RSS to distribute their postings. You can set up your own blog by visiting these two most popular blogging platforms, these are Blogger.com and Wordpress.com. 2. RSS: RSS allows people to place news and other announcement-type items into a simple XML format that can then be pushed to RSS readers and Web pages. The initials RSS can stand for different things, including Rich Site Summary or Really Simple Syndication. Users can subscribe to the RSS news feeds of their choice, and then have access to the updated information as it comes in. RSS is used for all kinds of purposes, including the news itself and announcing new content on Web sites. RSS contents may be read by using an RSS reader or Aggregator. This is usually free software that you can install on your computer that posts new items and stores old ones in a graphical interface. An RSS reader similar to e-mail software in that it displays incoming items and can store content for offline reading. Subscribing to a news feed is usually as simple as entering the address of the RSS document. 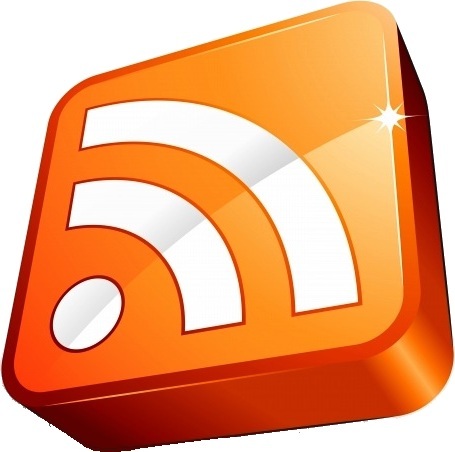 A useful list of RSS readers is available on the site of RSS Compendium. It is also possible to subscribe to and read your own collection of RSS feeds on Web sites devoted to this purpose. I use Feedburner.com for this. Feedburner.com is an example. The advantage here is that you can access your RSS feeds from any computer that is connected to the Web.